When professionals told her she “couldn’t” or “wouldn’t”, she worked harder – sometimes to the point of exhaustion. Barriers and limitations put before her became a personal challenge to let people know she is worthy of high ideals and capable of great expectations. Born into a family of three boys, she was blessed to have the playful and gentle guidance of loving brothers. Competing with them for attention and time, she proved herself superior to the task. As she grew, their influences stayed with her – making her a social genius and a skilled comedian. Lauren danced before she could walk. At age three, Lauren was in her element from her first dance class. There, a loving teacher taught her the rigors of discipline and the nature of art. For thirteen years, she loved the dance and craved the stage. After each performance, Lauren made herself known by waving and blowing kisses to her “fans”. This set her up for a life in the limelight. She made her first acting debut in the movie “Mr. Blue Sky”, playing the part of young Andra Little. Her acting skills impressed the producers of Glee enough that they offered her a part on the hit FOX television program. Now in her third season with Glee, playing the part of Becky Jackson continues to open doors for Lauren, and she hopes those doors will open wider still! Lauren is thrilled to be using the public “voice” that Glee has given her to speak out for other people with disabilities who may not have the same opportunities. She has participated in the Ablilitypath.org campaign against bullying, has worked with the Special Olympics and Best Buddies programs in their “End the Word” campaign, and is lending her name and fame to numerous organizations, including the Arc, the Down Syndrome Association in the U.S. and Canada, the Down Syndrome Congress, the AAPD, and many others. 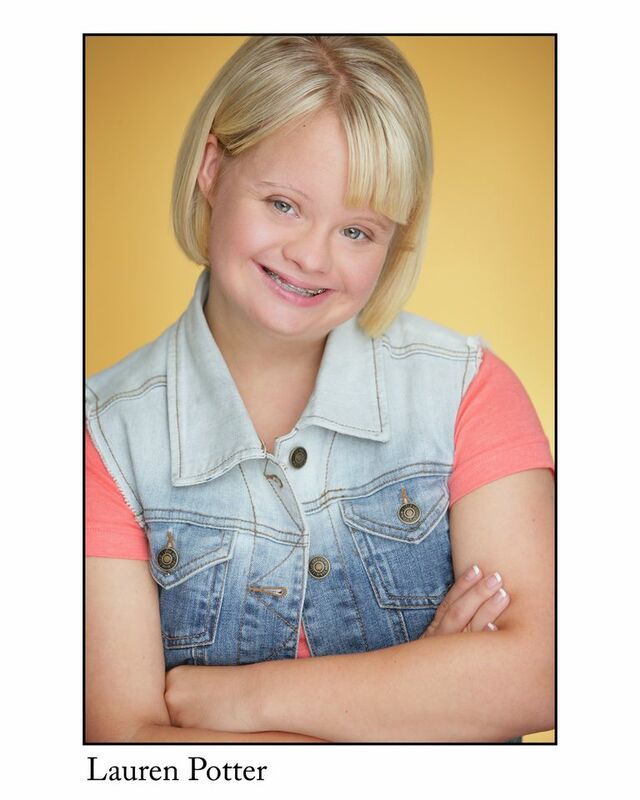 She feels honored to have received awards for her inclusion and diversity from the Arc, The Down Syndrome Association of Los Angeles, and the Full Life Festival, as well as accommodations from local and California State politicians. Most recently, Lauren was appointed to President Obama’s Commission on Intellectual Disabilities.